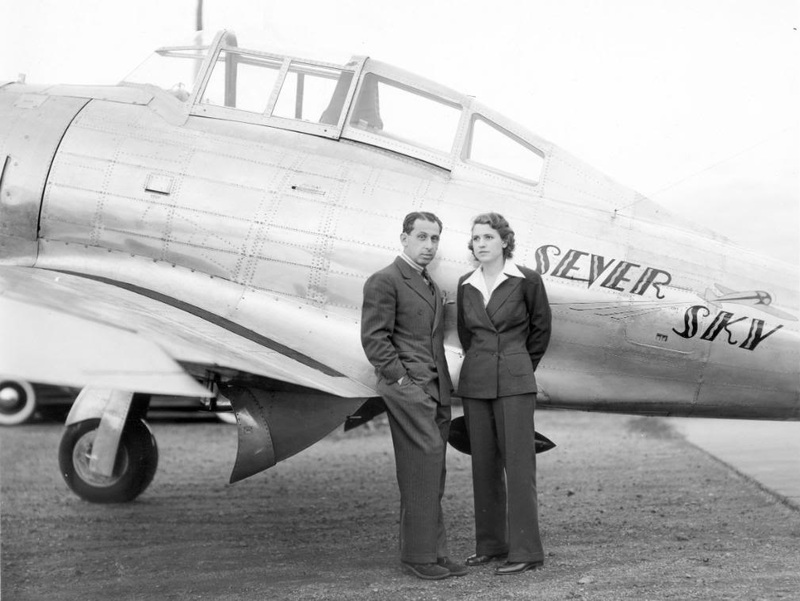 1 September 1938: Jackie Cochran departed the Union Air Terminal, Burbank, California, at 3:00 a.m., flying her Seversky AP-7, NX1384, c/n 145. Her destination was Cleveland, Ohio, the finish line for the Bendix Trophy Race, 2,042 miles (3,286 kilometers) away. 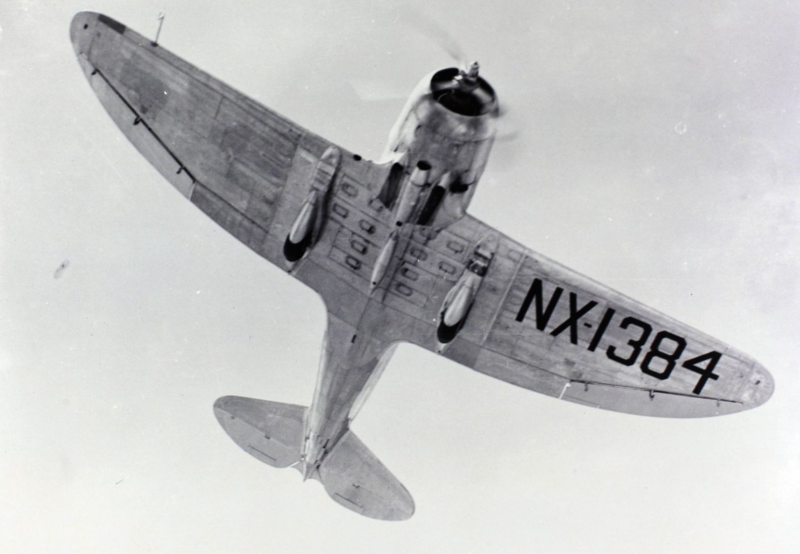 NX1384 was built by the Seversky Aircraft Corporation of Farmingdale, Long Island, New York, especially for Jackie Cochran. 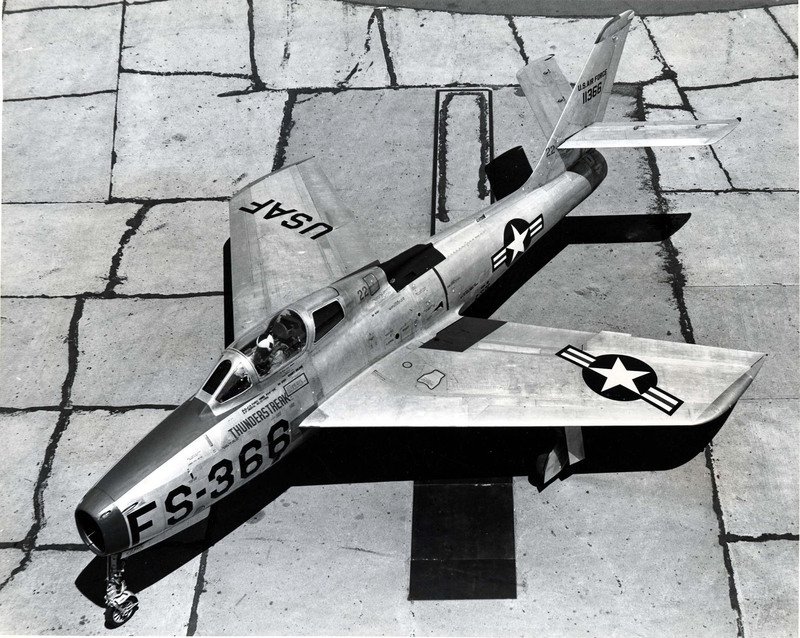 It had been flown from the factory to Burbank by Major de Seversky just two days earlier. 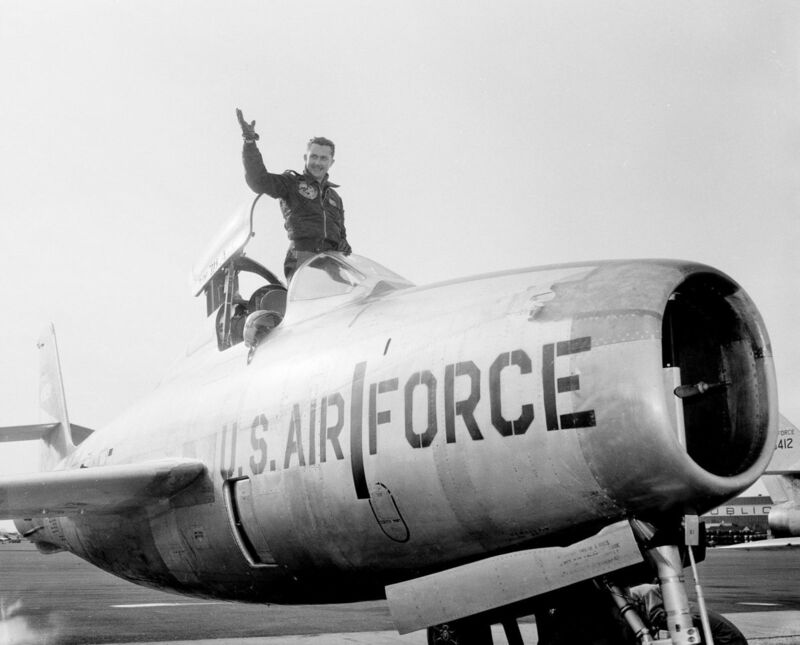 His flight set an East-to-West Transcontinental Speed Record of 10 hours, 2 minutes, 55.7 seconds. 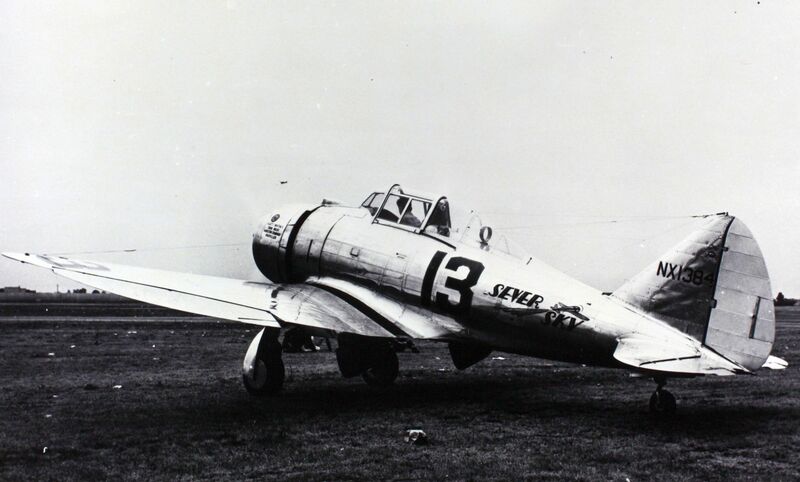 The AP-7 racer was an improved version of Major Alexander Nikolaievich Prokofiev de Seversky’s P-35A fighter, which was the U.S. Army Air Corps’ first all-metal single-engine airplane with an enclosed cockpit and retractable landing gear. 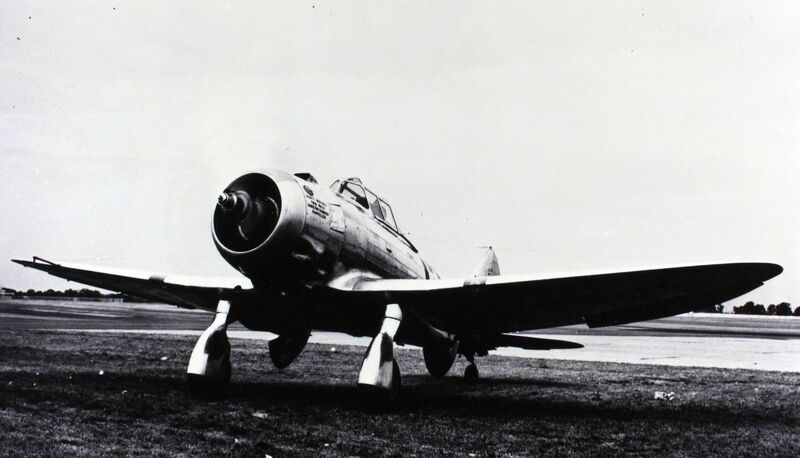 Cochran’s AP-7 was powered by an air-cooled, supercharged, 1,829.39-cubic-inch-displacement (29.978 liter) Pratt & Whitney Twin Wasp S1B3-G (R-1830-11) two-row 14-cylinder radial engine rated at 850 horsepower at 2,450 r.p.m. at 5,000 feet (1,524 meters), and 1,000 horsepower at 2,600 r.p.m. for take off. The engine turned a three-bladed Hamilton-Standard controllable-pitch propeller through a 3:2 gear reduction. The R-1830-11 was 4 feet, 8.66 inches (1.439 meters) long with a diameter of 4 feet, 0.00 inches (1.219 meters), and weighed 1,320 pounds (599 kilograms). “Finally the P-35 arrived. I decided that I didn’t want to take it into the air for a test even if I could. The racing officials impounded it because it was a prototype and there was some kind of rule about untested planes. I would test it en route. . . Finally, I got to sit in the cockpit. I began to study all the instruments by the hour. I can almost see them still. 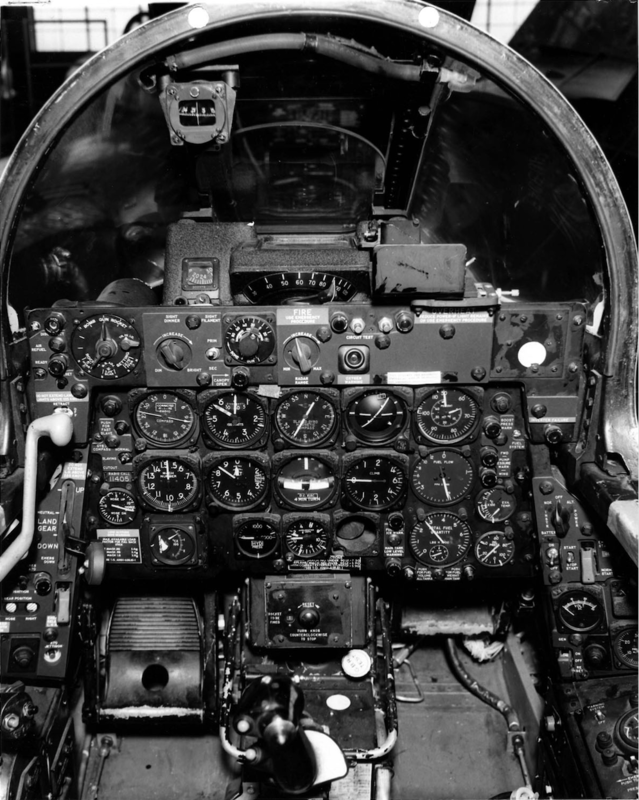 “There are about a hundred or more buttons, levers, and other gadgets to push, pull or twirl. . . I close my eyes and reach for everything in the dark. And I keep at this until I can get to them blindfolded and with no false moves. 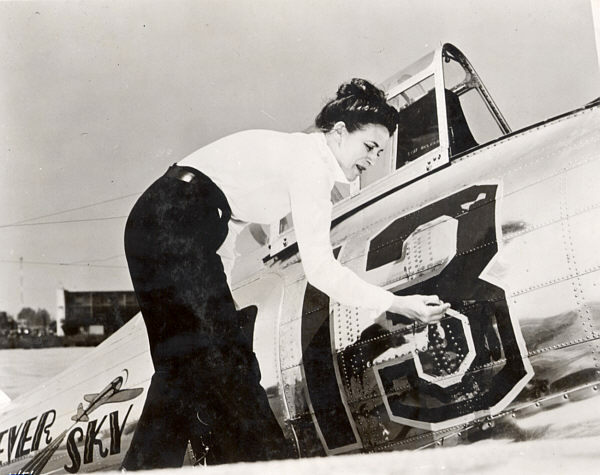 . .
— Jackie Cochran: An Autobiography, by Jacqueline Cochran and Maryann Bucknum Brinley, Bantam Books, New York 1987, Pages 160–165. 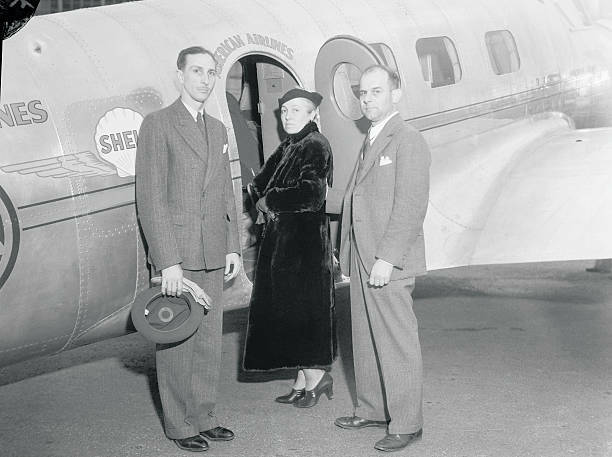 Jackie Cochran was the third pilot to leave Burbank, but the first to arrive at Cleveland. Her elapsed time for the flight from California to Ohio was 8 hours, 10 minutes, 31.4 seconds, for an average speed of 249.774 miles per hour (401.895 kilometers per hour). For her first place finish, Ms. Cochran won a prize of $12,500. 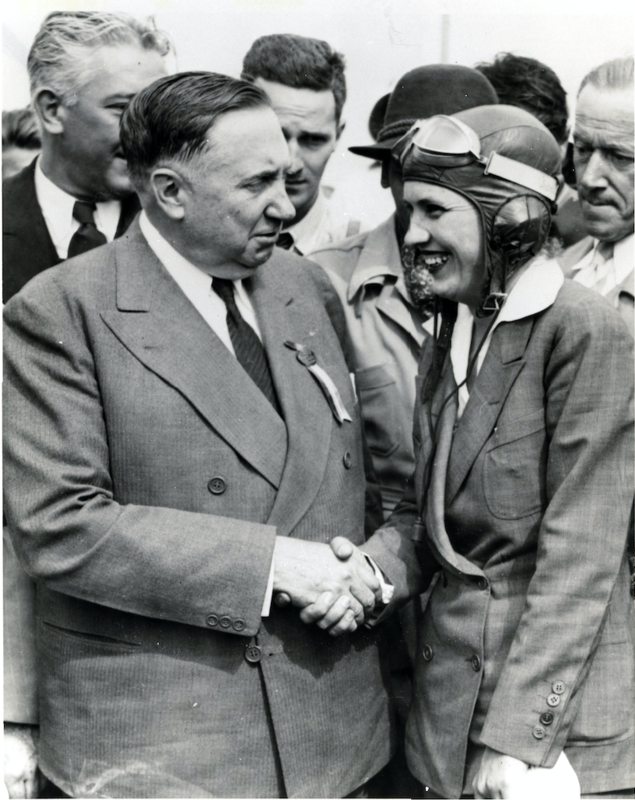 After being congratulated on her win by Vincent Bendix and other race officials, Cochran had her Seversky monoplane refueled. 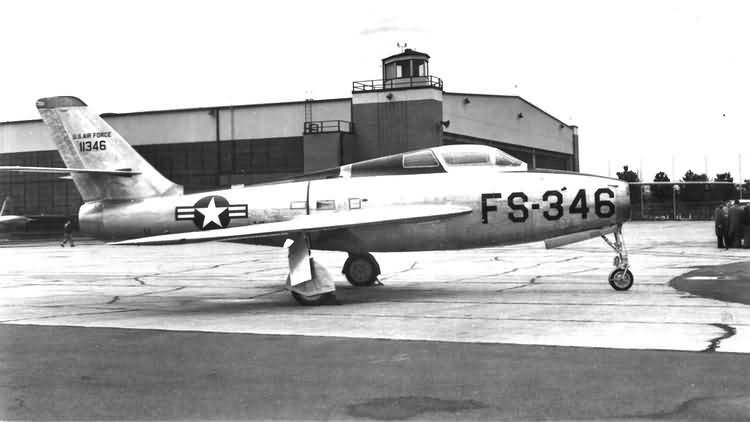 She then got back in to its cockpit and took off for Floyd Bennett Field, new York. She landed there 10 hours, 12 minutes, 55 seconds after leaving Burbank. This was a new West-to East Transcontinental Speed Record. 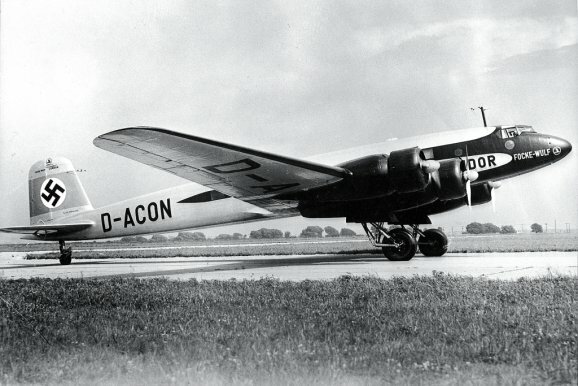 10–11 August 1938: The first non-stop flight between Berlin and New York by a heavier-than-air aircraft was flown by a prototype four-engine airliner. 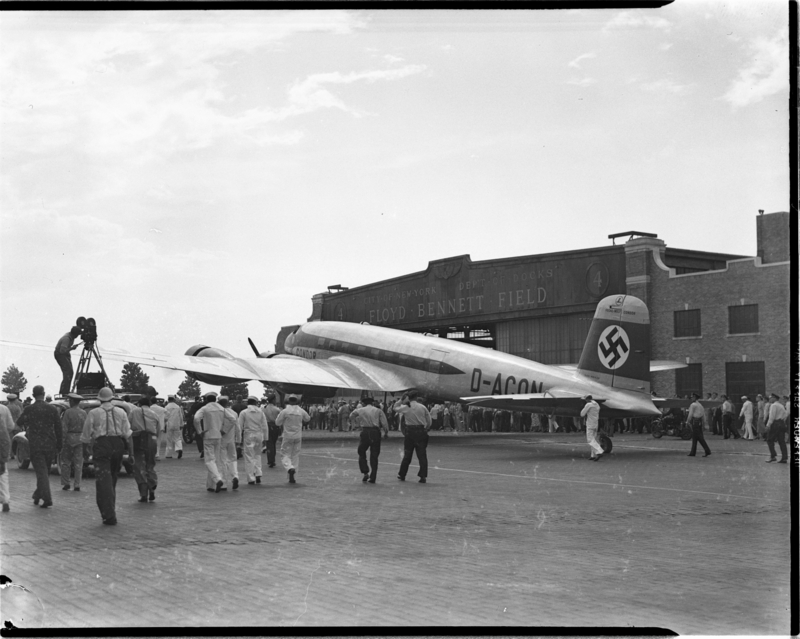 Under the command of Deutsche Luft Hansa Kapitän Alfred Henke, Brandenburg, a Focke-Wulf Fw 200 S-1 Condor, D-ACON, departed Flugplatz Berlin-Staaken, 6 kilometers west of Spandau, at about 7:30 p.m., on Wednesday, 10 August 1938. 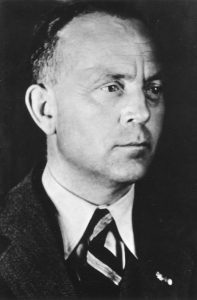 The other members of the crew were Hauptmann Rudolf Freiherr von Moreau, of the Luftwaffe, co-pilot; Paul Dierberg, flight engineer; and Walter Kober, radio operator. There were no passengers on board. 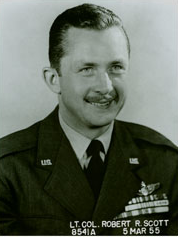 Brandenburg flew a Great Circle course across the North Atlantic Ocean and landed at Floyd Bennett Field, Brooklyn, New York at 1:50 p.m., local time, Thursday, 11 August. The distance flown was 6371.302 kilometers (3,958.944 miles). The total duration of the flight was 24 hours, 56 minutes, 12 seconds. The Condor averaged 255.499 kilometers per hour (158.760 miles per hour). 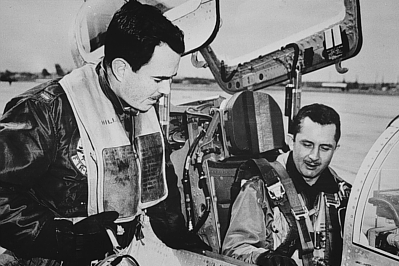 Although they encountered severe weather, the flight was relatively uneventful. Upon landing, it was discovered that the prototype airliner had suffered some damage to an engine cowling and that one engine lubricating oil tube had cracked, causing a leak. The problems were repaired while Hauptman von Moreau made an unexplained trip to Washington, D.C. Brandenburg was ready for a return flight to Germany the following day. 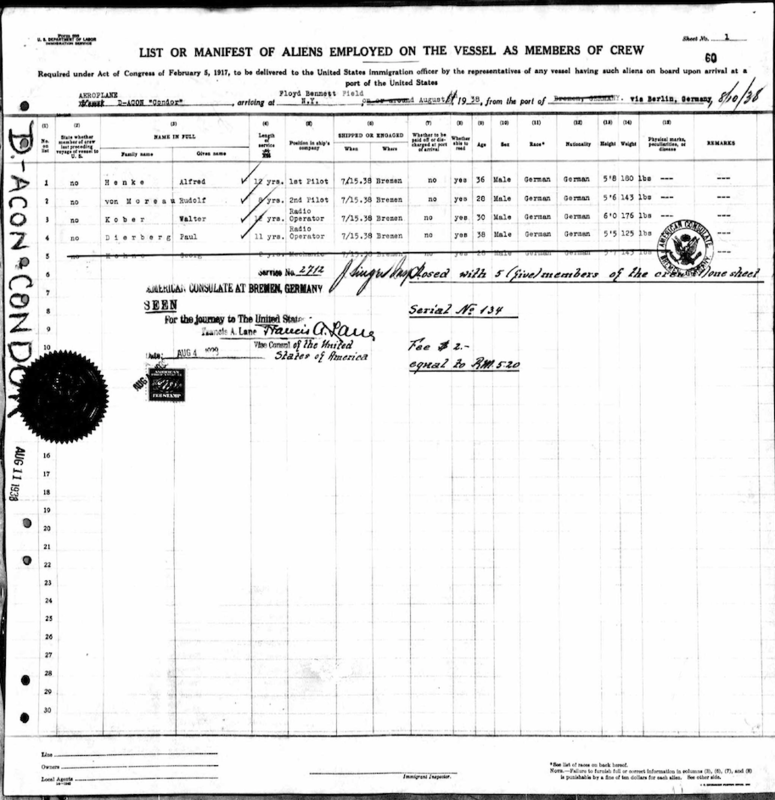 Manifest for Focke-Wulf Fw 200 S-1 Condor D-ACON. 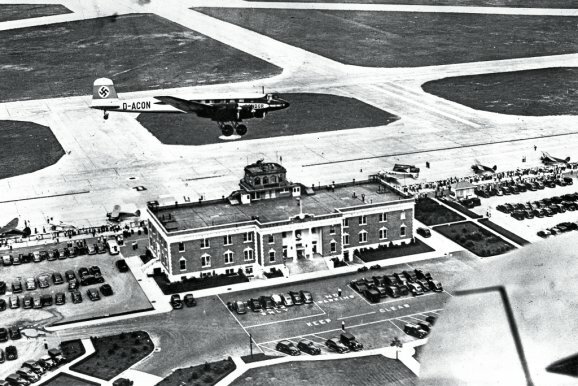 Taking off from Floyd Bennett Field before 9:30 a.m., on Saturday, 13 August, Brandenburg was flown to Flughafen Berlin-Templehof. With more favorable winds on the eastbound flight, the 6,392 kilometer distance (3,972 miles) was covered in 19 hours, 56 minutes, with an average speed of 321 kilometers per hour (199 miles per hour). 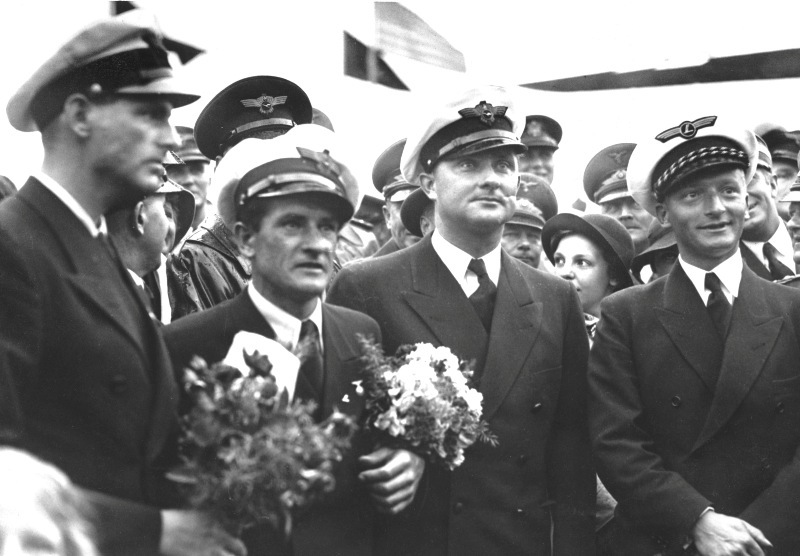 Following their return to Germany, Captain Henke (who was also an Oberleutnant in the Luftwaffe) and Hauptman von Moreau were congratulated by Adolph Hitler. In photographs, Henke is easily identifiable by the prominent “dueling scar” on the left side of his face. 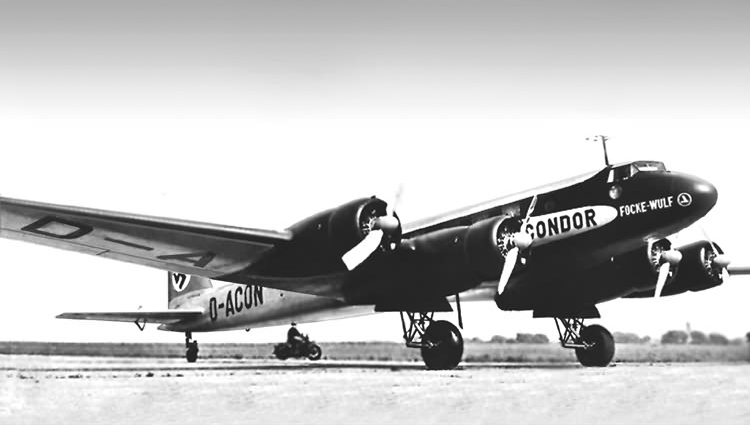 D-ACON was the prototype Condor, designated Fw 200 V1, Werk-Nr. 2000. 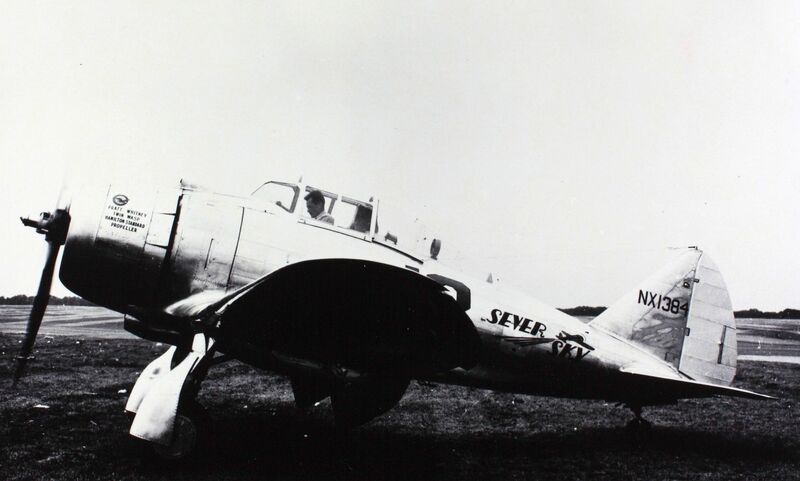 It had first flown at Neulander Feld, site of the Focke-Wulf plant in Bremen, 27 July 1937. 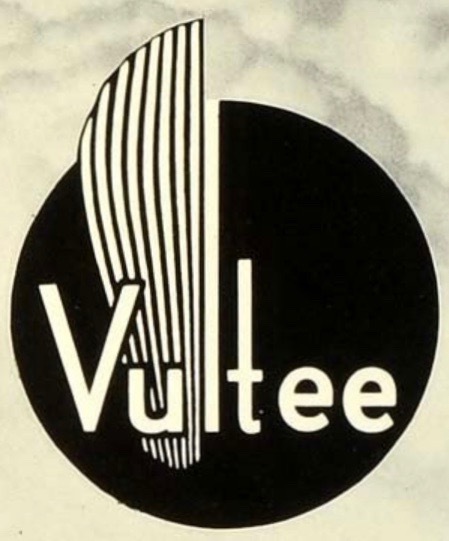 The test pilot was Kurt Waldemar Tank, an aeronautical engineer and the airplane’s designer. 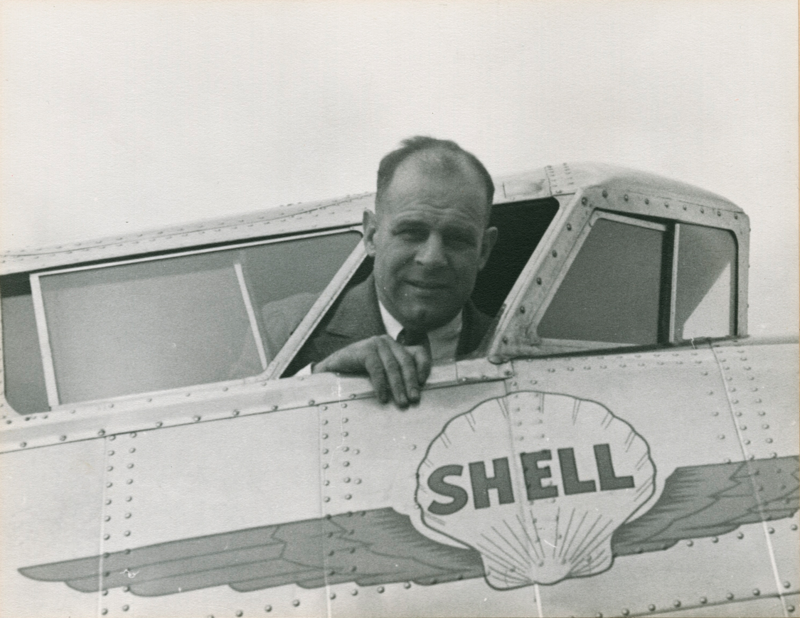 Tank had proposed the airplane to Deutsche Luft Hansa as a long-range commercial transport for routes from Europe to South America. While British and American airlines were using large four-engine flying boats for transoceanic flight, their heavy weight and aerodynamic drag reduced the practical passenger and cargo loadings. A lighter-weight, streamlined land plane would be faster and could carry more passengers, increasing its desirability and practicality. 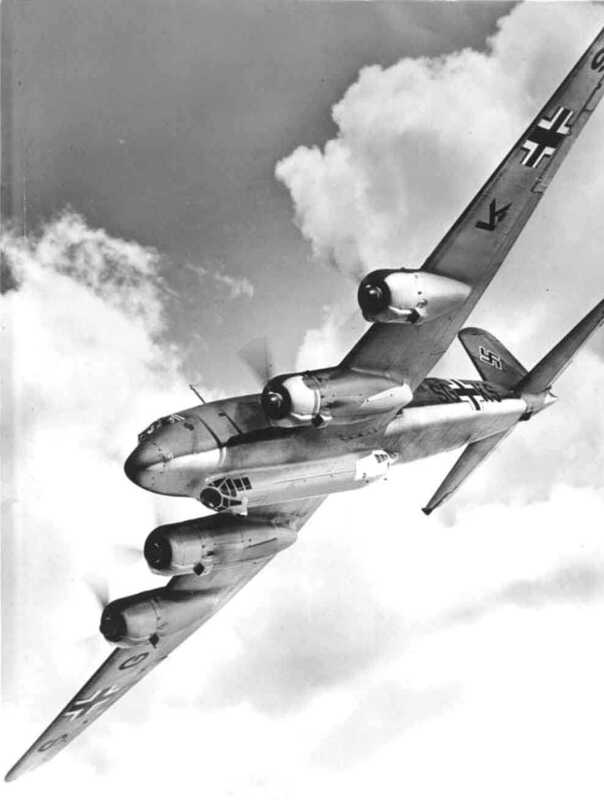 Also, while the flying boats had to make an emergency water landing if one engine failed during the flight, the Focke-Wulf Condor was designed to be able to remain airborne with just two engines. 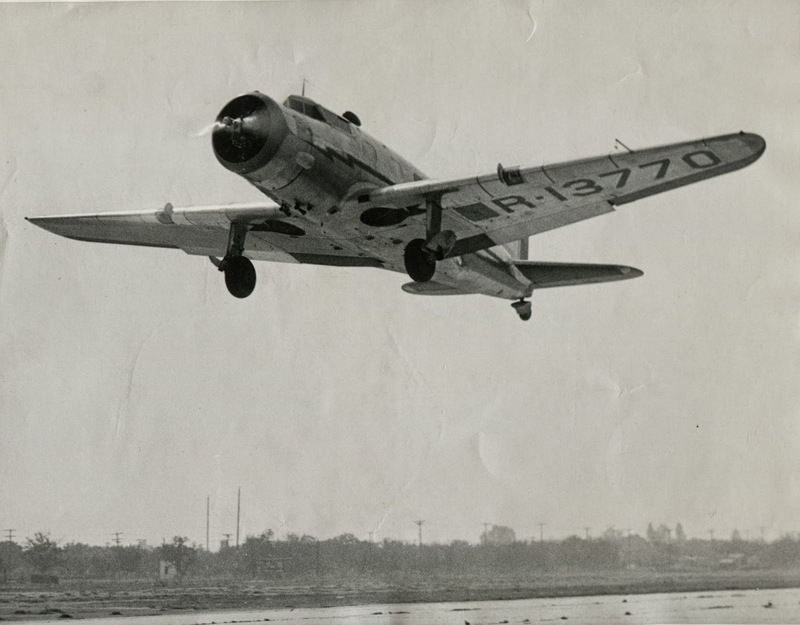 The Fw 200 V1 was an all-metal low-wing monoplane powered by four engines, with retractable landing gear. 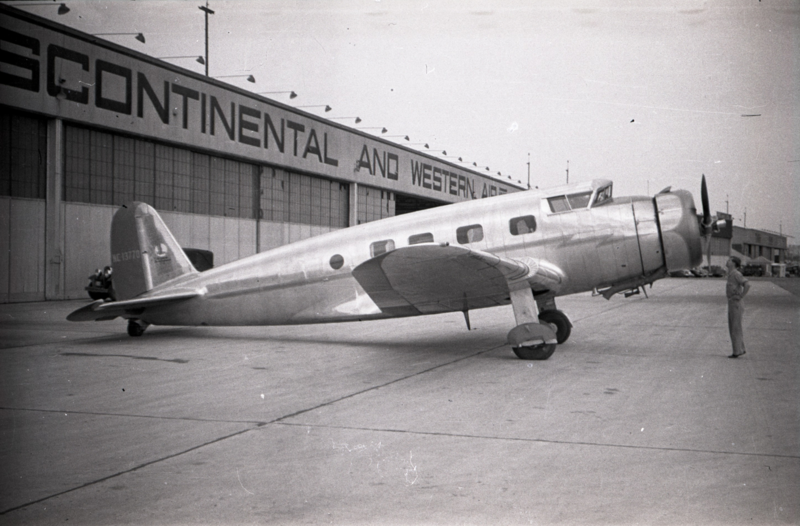 It had a flight crew of four, and was designed to carry a maximum of 26 passengers. It was 78 feet, 0 inches (27.774 meters) long with a wingspan of 108 feet, 0 inches (32.918 meters) and overall height of 20 feet, 0 inches (6.096 meters). The airliner had an empty weight of 24,030 pounds (10,900 kilograms) and gross weight of 37,479 pounds (17,000 kilograms). 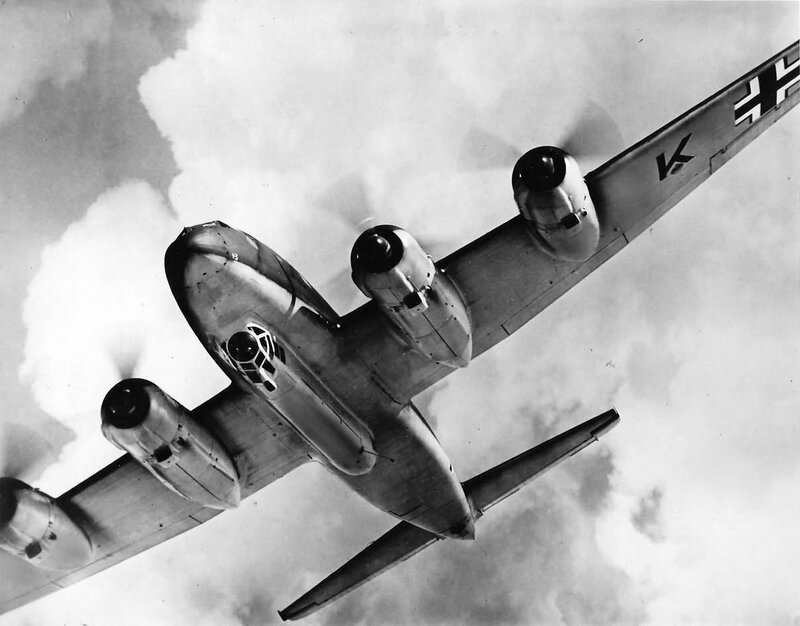 This increased to 39,683 pounds (18,000 kilograms) after modification to the Fw 200 S-1 configuration. 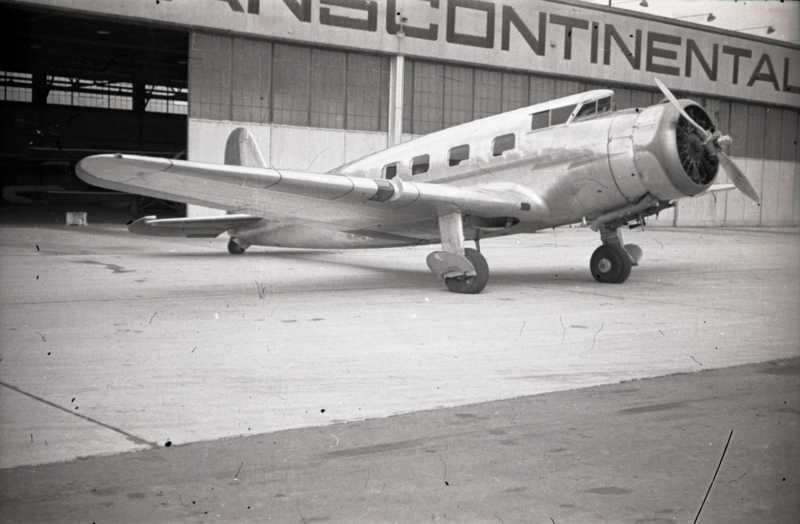 As originally built, the prototype Condor was powered by four air-cooled, supercharged 1,690.537-cubic-inch-displacement (27.703 liters) Pratt & Whitney Hornet S1E-G single-row 9-cylinder radial engines with a compression ratio of 6.5:1 and gear reduction ratio of 3:2. The S1E-G was rated at 750 horsepower at 2,250 r.p.m. to 7,000 feet (2,134 meters), and 875 horsepower at 2,300 r.p.m. for takeoff. It was 4 feet, 1.38 inches (1.254 meters) in diameter, 4 feet, 6.44 inches (1.383 meters) long, and weighed 1,064 pounds (483 kilograms). Brandenburg‘s Pratt & Whitney engines were later replaced by Bayerische Motorenwerke AG BMW 132 L engines. 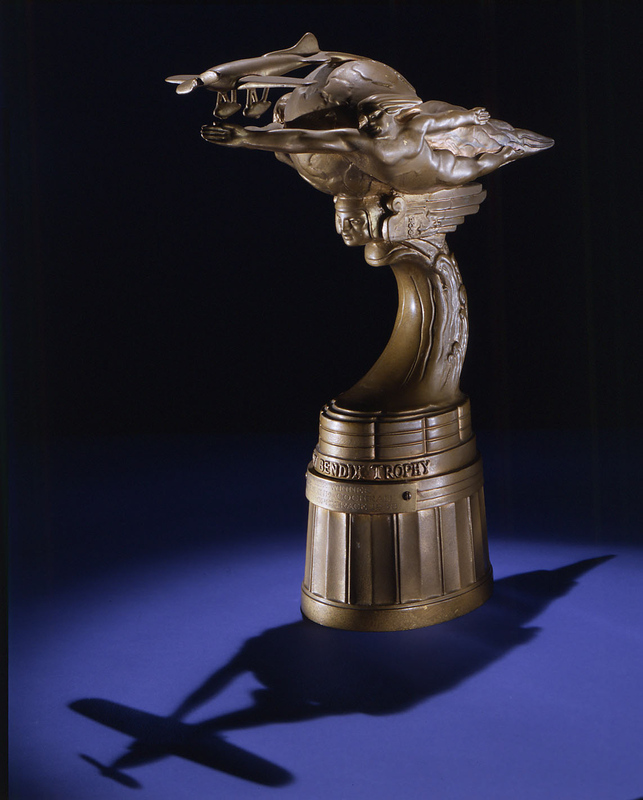 BMW had been producing licensed variants of the Pratt & Whitney Hornet since 1933, and had incorporated their own developments during that time. 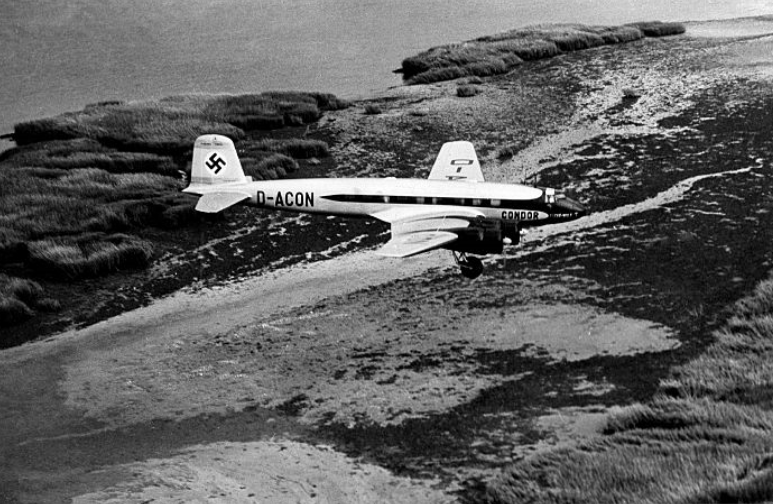 The Fw 200 V1 had a maximum speed of 233 miles per hour (375 kilometers per hour) at Sea Level. 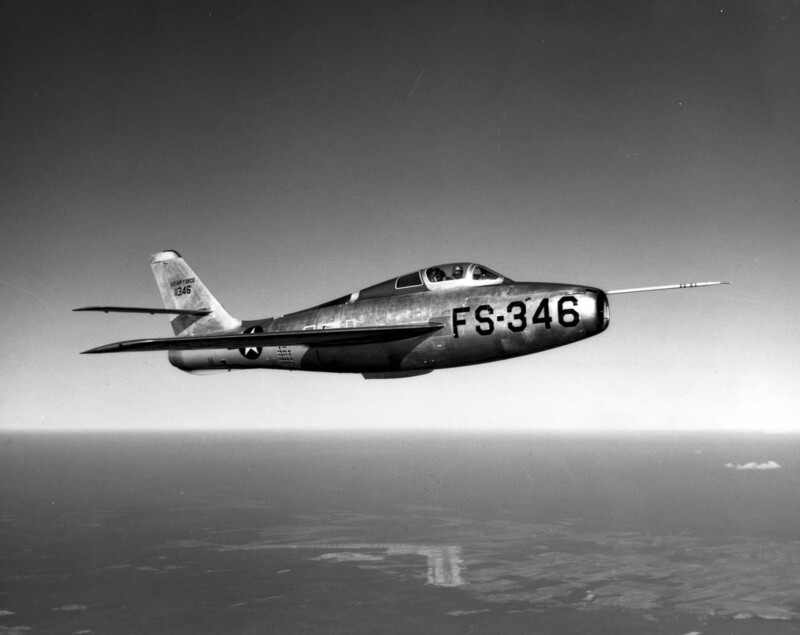 Its cruising speed was 205 miles per hour (330 kilometers per hour) at 10,000 feet (3,048 meters). The airliner’s service ceiling was 20,000 feet (6,096 meters). It could maintain level flight at 13,000 feet (3,962 meters) with 3 engines, and 10,000 feet (3,048 meters) with just two engines running. 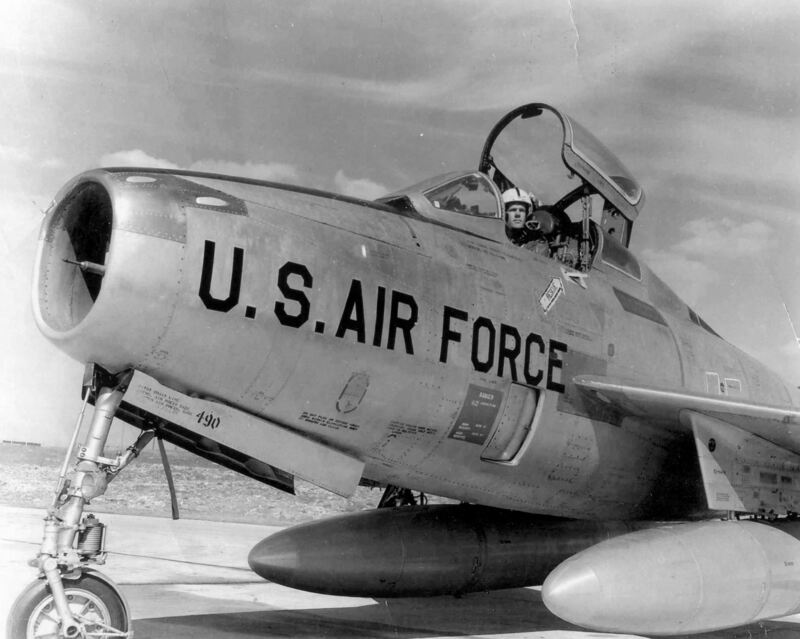 Its range at cruise speed with a 7,000 pound (3,175 kilogram) payload was 775 miles (1,247 kilometers). 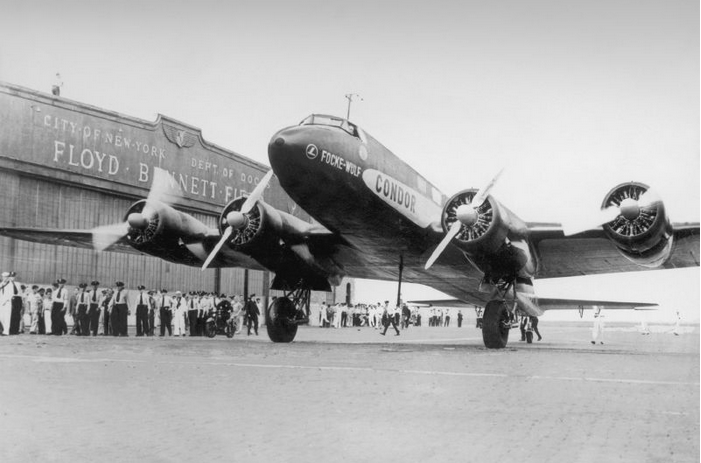 For the Berlin-to-New York flight, the Fw 200’s fuel capacity was increased to 2,400 gallons (9,084 liters). On 6 December 1938, while on approach to Manila, capital city of the Commonwealth of the Philippines, all four of D-ACON’s engines stopped. 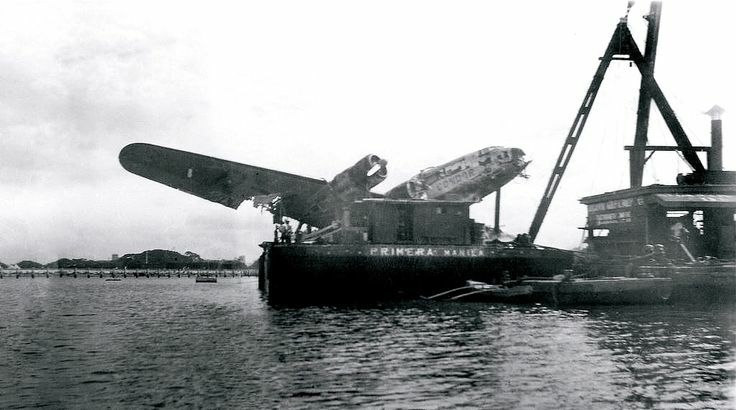 Unable to reach the airfield, the Condor was ditched in Manila Bay. All aboard were quickly rescued. 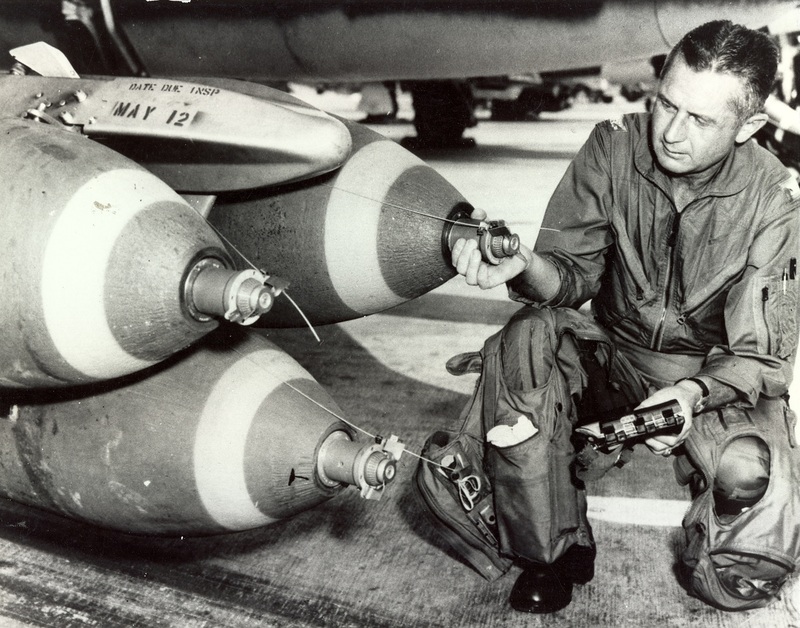 The cause of the engines failing was fuel starvation. One source states that the crew had selected the wrong tanks. Another source says that a fuel line had broken. A third cites a fuel pump failure. 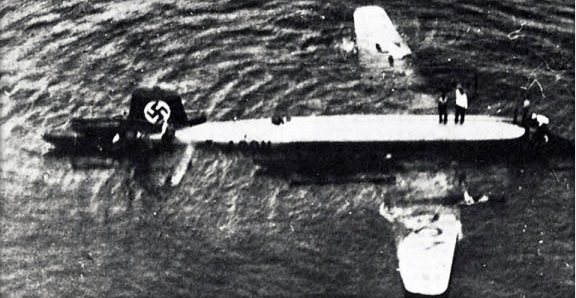 The wreck of the first Condor was recovered, however, the airplane was damaged beyond repair. While the Focke-Wulf Fw 200 had been designed as a civilian airliner, it soon found use as a long-range maritime patrol bomber. The Fw 200 V10 was a military variant requested by the Imperial Japanese Navy. 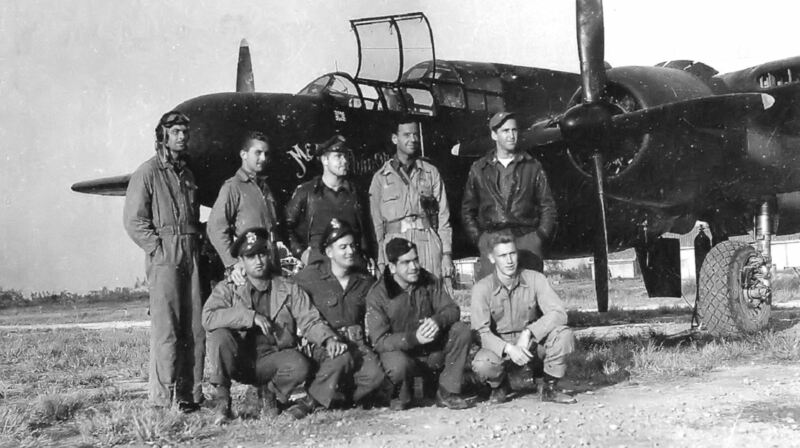 With the outbreak of World War II, Condors were produced as both bombers and transports. They saw extensive service searching for and attacking the Allies’ transatlantic convoys.